Special-edition SAMBAROSE shoes celebrating London's newest Underground line. 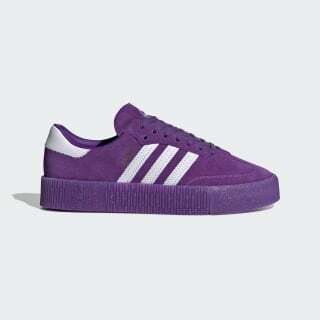 The SAMBAROSE transforms a classic football silhouette into an elevated design with a platform midsole. This special version commemorates the opening of the Elizabeth Line, London's newest electric Underground train. 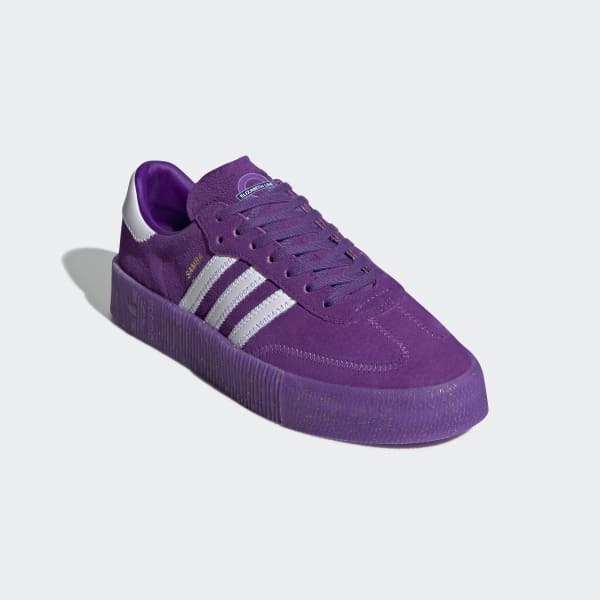 A collaboration between adidas Originals and Transport for London, these supple leather shoes celebrate the occasion with colours and silvery finishes inspired by the purple line. Every pair comes with an extra set of laces.